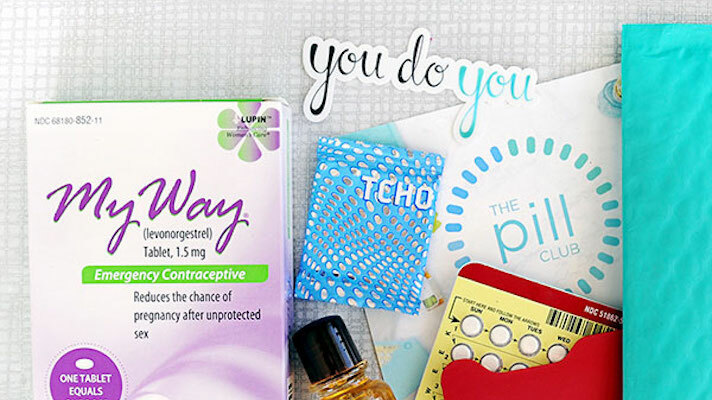 Through The Pill Club’s online service, women with an existing prescription can get a variety of types of birth control — including more than 100 brands of the pill as well as the NuvaRing, emergency contraceptives and female condoms — delivered by mail, with no delivery charge and, depending on their insurance, no co-pay. That service is available in all 50 states. Additionally, in 35 states The Pill Club is able to prescribe birth control via telemedicine visits, so patients don’t need to have a pre-existing prescription. The deliveries also come with “chocolate and sample gift items,” according to the company’s website. Additionally, hims, which offers online and mail-order men’s health products such as treatments for hair loss and erectile dysfunction, recently expanded its offerings to include a “hers” line for women, which includes birth control among its offerings.